Attorney-General Mohamed Anil also asked all national bodies and defence units to disregard any Supreme Court ruling on impeaching Yameen. 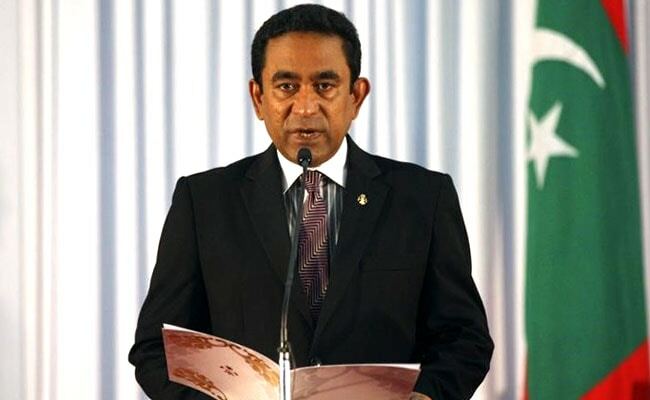 The Supreme Court in the Maldives is trying to impeach President Abdulla Yameen, who has not obeyed its order to release opposition leaders arrested after unfair trials, the island nation's attorney general said on Sunday. "We have received information that things might happen that will lead to a national security crisis," Anil told reporters in the capital, Male. "The information says the Supreme Court might issue a ruling to impeach or remove the president from power," he added. "State institutions have also received this information. Any institution of the state has no authority to exercise a power not afforded to them under the constitution. I have told them that in such a situation, law enforcement agencies should not obey a ruling in contravention of the constitution." The Supreme Court last week dismissed cases against nine people, including former president Mohamed Nasheed, the country's first democratically elected leader, who now lives in exile in Britain and has been campaigning to have his political rights restored.